Featuring "Get Lucky" and "Lose Yourself To Dance"
Everybody wants to dance with the men in the masks, advises GulfTimes.com We know that Thomas Bengalter and Guy-Manuel de Homem-Christo are two Parisians just shy of 40, but the founders of French house duo Daft Punk have hidden their faces for years, sporting helmets and gloves that make them look like bespoke androids. Over time, pseudonymity has transformed the duo into an entity without genre, race, age or nationality, allowing them to produce pop music in the purest sense. And with the release of Random Access Memories they seem more than popular. They're immortal man-machines sent from the future to teach our planet how to relive its maligned disco yesteryears. 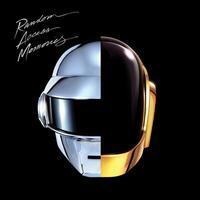 Before this album I thought Daft Punk was just a step or two above "OK" but this album is so d*m entertaining. Even though it is only 88khz it sounds like it is higher. They did a fantastic job with this recording. You won't regret buying this.